For the safety and well-being of our guests, basic immunization policies and preventative measures are in place. Just like children in a group playtime situation, if one dog gets sick, they all may get sick. Simple procedures to keep dogs healthy and safe. By following these simple procedures, we all do our very best to keep our dogs healthy and safe. But despite all our best efforts, some may become ill. Please notify us immediately if this occurs so that we may guard against infectious spread of the disease to our other guests. In the unlikely event your pet becomes ill while with us, we reserve the right to seek veterinary care for which you, the owner, will be fully responsible. If we are unable to make arrangements with your veterinarian, we will contact our veterinary service. Kennel cough is a fairly common ailment in dogs and is caused by an airborne virus. Just like children often contract colds by being exposed at school or camp, dogs often contract Kennel Cough by being exposed wherever dogs can be found. Just as the case with the human cold, we cannot get rid of Kennel Cough all together. The vaccine is only approximately 60 % effective. It is similar to the “flu shot” for people; each year a vaccine is developed based on which strain(s) are suspected to be most prevalent, but there are many other strains of virus out there that can cause a dog to develop Kennel Cough. Be aware that your dog can still catch Kennel Cough even if s/he has had a shot to prevent it. Moreover, a dog can carry the illness and spread it to others without displaying symptoms itself. Therefore, for the safety of our other guests, we do not allow dogs that are presenting with kennel cough symptoms to stay at K9 Central. It is an optional vaccine at K9 Central but we highly recommend it prior to bringing your canine companion in. For more information on the vaccine we urge you to talk to your vet. Some form of flea prevention treatment from your veterinarian, such as Advantage” or Revolution,” is an absolute must. Fleas can be spread very quickly from one dog to a group. We pride ourselves on never having had a flea infestation. This is why we insist on a flea prevention program for your dog and why we thoroughly clean our facility daily and flea spray in high flea seasons. 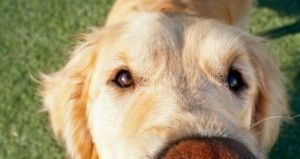 A form of pink eye, conjunctivitis can result in a green/yellow discharge from the eye (although some dogs just have the “red eye” look). Any dog that is showing symptoms of this illness will not be allowed to enter a group play environment. (Note: If you notice any of these symptoms you may want to take your dog to visit their vet).